There’s a lot of cool stuff going on right now, standards-based graphics and sound foremost in my mind. But I’ll focus here on something I’ve always found oddly fascinating: fragment identifiers and the quirky exploits around them. The humble “frag ID” is not exactly the pinnacle of the Ajax revolution, but it remains misunderstood and under-utilised by developers, and a feature which the browsers could do more to support. By design, fragment identifiers do just as their name suggests – they identify fragments of a document. Type in http://example.com#foo, and the browser will helpfully scroll to the “foo” element. 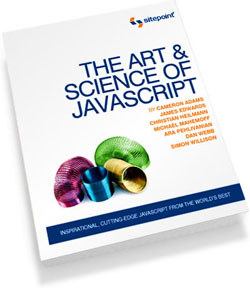 However, they can be used for a lot more than that, thanks to peculiarities in the way they are handled by browsers. 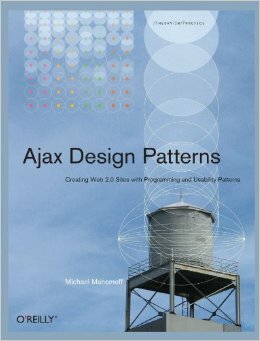 I first researched this stuff for Ajax Design Patterns in 2005, and at that time, there were only a couple of scattered blog articles on the topic. Today, we can see the pattern in action in various high-profile places such as Google Docs and GMail. When I view my starred documents in the former website, for example, the URL is http://docs.google.com/#trash. That said, many developers still aren’t using this feature to its fullest, and library support is somewhat lacking. It’s encouraging to see IE8 has a new event for monitoring the fragment identifier, which suggests the story is not over for this rarely discussed property. The issue here is summarised in my statement: “fragment identifier information is never sent to the server, unlike the rest of the URL, which leads to some interesting applications related to security and privacy”. These bloggers had noticed that google was (in some cases) changing their URL structure for searches to use hashes (#q=term) instead of traditional CGI params (?q=term). Thus, when the user clicks through from Google to your web page, you don’t know what the user searched for. Another thing that recently arose is how easily you can retain fragment identifiers in bookmarking type sites. For example, if you submit a URL to Digg, it annoyingly strips the fragment ID. Whereas Delicious retains it. TinyURL retains it too, but their php “create” script removes it, according to a conversation I had with Fred, who created this tinyURL bookmarklet. I can see why sites wouldn’t want to retain it, because it may well be just an in-page link, so it’s a tricky issue. The main point being, fragment IDs – and design questions thereof – are alive and well. Inheritance is often considered the killer app of OO. In fact, the killer app is encapsulation – combining data and behaviour in a single model. Inheritance is a great feature, but it’s icing on the cake compared to the magnificence of encapsulation. Also, as the uber-uber GoF patterns book emphasised, delegation often trumps inheritance. In enterprise Java-land, this has now been firmly entrenched by the dependency injection “revolution”. The idea is basically small dumb things, loosely connected, just like the Unix philosophy and that of Web 2.0. You have a small Strategy class that does just that, and you can inject it into many and varied classes. You just wire up the dependencies, outside of both classes. What you don’t have is a whopping big monolithic class with loads of subclasses that each have their own subclasses doing different things. The delegation model relies on contract inheritance, i.e. Interfaces in Java terms, but not on behaviour inheritance. Inheritance is often confused for design-by-contract, especially in languages like C++ which don’t have an explicit Interface construct. super is a code smell. 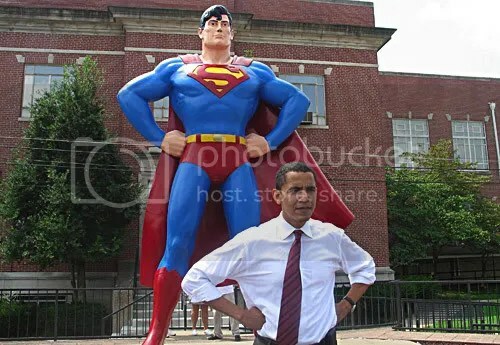 For those occasions when inheritance is appropriate, super still remains inappropriate in most cases. If you take a gander at the aforementioned GoF patterns, you’ll see that most inheritance-related patterns rely on the superclass calling particular methods on the subclass (usually protected methods). These are methods the superclass has explicitly defined and knows about. As long as the protected method fulfills its contract correctly, everything works nicely. There’s no need to call super. I just did some tinkering with offline sound and it turns out you can embed an audio clip in an HTML file, and play it without using Flash. I could have demo’d this in a raw HTML file, but it was just as easy to stick it in a Tiddlywiki file. So I made a TiddlyWiki called JinglyWiki. Click on the button and it will play a sound. If you grab the file (safest using a tool like Curl or wget, as the browser will sometimes Save As something different), you can run it offline and it will still play the sound. JinglyWiki started after an office conversation yesterday. We had a flaky wifi connection and were pleased to be able to play a beat on http://instantrimshot.com to signify a re-connection. This got us thinking about playing beats in Tiddlywiki. Jeremy mentioned the possibility of data: URIs, and I thought back to Reinier’s great effort in playing sound without Flash. I wondered if it would work with data: URIs and to my pleasant surprise, it did. At least in FF3, which is all I’ve tested so far. I also forgot how tiny the code is to play audio without Flash – you just add an element to the page. The point of JinglyWiki is you can stick a 300K file on your local file system or a USB stick and play gratuitous sounds without being online. Your iPod cost you several hundred bucks, whereas JinglyWiki is entirely free. Free as in you can spend your money on beer instead. JinglyWiki may well be the best portable music player you never paid a penny for. Groovy. It would be so much more useful with some code to dynamically generate WAVs, but that’s a project for another day. As for the name, it’s a play on the much more important project Phil Hawksworth has initiated to build a JQuery based Tiddlywiki framework: JigglyWiki. I think this nascent effort is going to produce some wonderful plugins for the JQuery community and be an important enough project to derive novelty joke names out of :), so I’m setting the trend here. The data itself is 15KB for about a second of voice content. Here’s the plugin code. Trivial or wot?!!! button.innerHTML = "Play Me! Play Me!" In the questions after my @media ajax talk, Simon Willison asked about frame busting. If gadgets sit inside iframes, what’s to stop them from busting the frame, i.e. replacing the container with another website. I notice he made a similar comment when OpenSocial came out. If a gadget can cause iGoogle to go away in place of another website, it could for example launch a phishing attack by presenting a mock iGoogle login page (“iGoogle has timed out. Please re-enter your username and password.”). Until then, we have to rely on “social” mechanisms. i.e. user comments in the catalogue and manual checking by container staff. A while ago, iGoogle made it harder to add a gadget directly by URL – you basically have to use the catalogue unless you’re a developer. So the catalogue is effectively acting as a whitelist – once found to be malicious, a gadget could be removed. This isn’t simple though – gadgets are dynamic and the catalogue is effectively just a list of URLs. A malicious author could have their gadget added to the catalogue and then change it, so the gadgets need constant review – a highly ineffective process. I also mentioned in the presentation that “html” type gadgets are more recommended than “url” gadgets. This is partly because with html gadgets, the container at least has some idea of what’s happening inside the gadget – though not entirely, since the code can still reference external scripts and services. With “url” gadgets, what happens is entirely controlled by an external server. This is not good. For example, you may have a “prod” setup and a “dev” setup. While developing, you will have to hard-code <script> tags and so on to hit the “dev” location, but then for production, you will want them pointing at your scripts in the production location. Likewise, you might want to ship the bundle to someone else for them to host on their own network. Performance will suffer as the script is loaded later than it should be. It relies on the “url” being passed into the gadget; to my knowledge, this is not something you can definitely assume will happen, i.e. it’s not mandated by the opensocial standard that the gadget receives a parameter called “url” identifying where the gadget came from. I have requested on the opensocial spec mailing list to provide direct relative path support and the response has been positive, hopefully we’ll see it soon, thus rendering large parts of this post obsolete. The solution looks to be rather neat – injecting a <base> tag to establish a base URL which all relative paths work against.